Divorce is a very stressful time in your life. It is more than a process of separating money and assets. Divorce is taking all that you have built together with your spouse and tearing it down. This is a breakdown of a partnership, a life together lost, your future now dissolved and uncertain. No one goes into marriage thinking they will one day be divorced. It is more than a broken vow. Hi, I’m Coulter Roberson. I was once in your shoes. When I was married to my first husband, I did it believing it would be forever, but he turned out to not be my prince charming. At the time of my divorce I had two small children working three jobs with very little knowledge about money let alone how to negotiate my divorce settlement. Years later I realized a lot of my stress, worry and concern could have been prevented had I worked with a financial expert. And not just any numbers person, someone who could educate me about financial assets and who could help me separate emotional decision making from logical decision making. 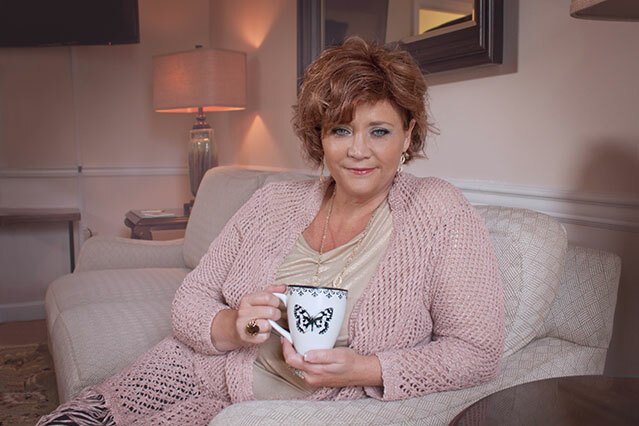 In 2005 I found myself already working with clients who were recently divorced and I just knew there was something I could do to help these women during the divorce process. So I researched certifications and obtained the certified divorce financial analyst or CDFA. This is also when I founded Splitting Assets. Since then I’ve added the Interdisciplinary Basic Collaborative Practice certification and a certification as a community mediator. I also have been working in the financial services industry since 1999 working for John Hancock, Wachovia, and Roberson & Roberson Financial. With this education and experience I help my clients manage the trauma and stress of divorce so they can have the self-confidence to ‘Take Back their Divorce’ and have a voice in deciding their future. From working with clients I’ve learned that there are three stages to the divorce process. Stage #1 You realize you are not with your forever prince charming and you need to make some tough decisions about your marriage. Should you stay? Or should you go? I will share with you some tips, strategies, industry secrets, and guide you to making some tough decisions. Stage #2 You are in the divorce process. Whether you or your spouse has filed for divorce with the courts, or you are settling your divorce with your spouse, you have some critical decisions to make before you sign the final divorce decree. You will find that a lot of terminology will be thrown around that is unfamiliar to you. I will educate you in terms that you can understand, help you find and work with the right attorney for your situation, teach you to search for hidden assets, mistakes to avoid when negotiating your settlement and how to take what you already know about your spouse and use it to your advantage! This is the longest and most stressful stage of divorce. And finally stage #3 You’re about to sign your final decree or you have just finalized your divorce. This stage is the shortest but most critical stage of the process. I will teach you how to read your final decree before you sign it, questions to ask your attorney before signing it, tips to expedite what needs to be done in the decree to go on with your life and transfer assets, and provide a checklist for the recently divorced. In addition I share true Divorce Stories from real women like you. By reading their stories you will have hope that you WILL be OK! No matter what stage you are in or no matter how much money you have to spend, you will find what I have compiled here to be helpful, thought provoking, life changing, and you have a friend in your corner! Let me help you Get Your Head Straight before You Negotiate. 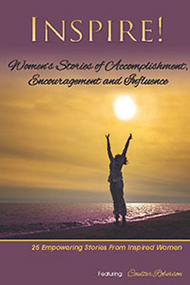 Stories of Accomplishment, Encouragement and Influence.